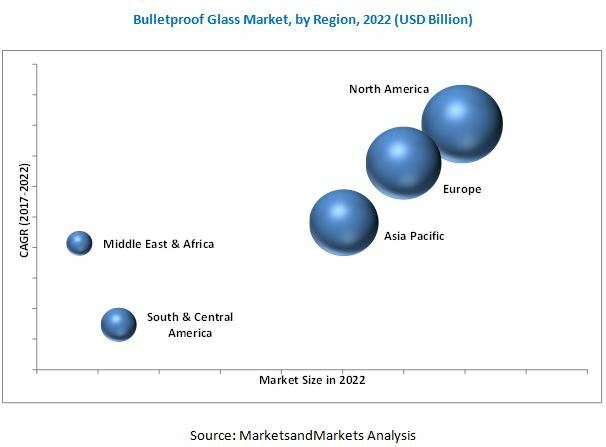 [163 Pages Report] on Bulletproof Glass Market was valued at USD 3.56 Billion in 2016, and is projected to reach USD 7.65 Billion by 2022, at a CAGR of 13.6% from 2017 to 2022. The bulletproof glass markets in the North American and European regions are slated to witness significant growth in the coming years, owing to several factors, such as increasing defense spending of various countries, rising political and civil unrest, and increasing terror strikes, globally. This research study involves the usage of both, secondary as well as primary sources. Secondary sources include directories and databases, such as Hoovers, Bloomberg, Factiva, and other government and private websites to identify and collect information useful for a technical, market-oriented, and commercial study of the bulletproof glass market. The primary sources are mainly the experts from the core and related industries and preferred suppliers, manufacturers, distributors, service providers, technology developers, alliances, and organizations related to all segments of this industry’s value chain. In-depth interviews with various primary respondents that include key industry participants, subject matter experts (SMEs), C-level executives of the key market players, and industry consultants have been conducted to obtain and verify critical qualitative and quantitative information as well as to assess the growth prospects of the bulletproof glass market during the forecast period, 2017 to 2022. The global bulletproof glass market has a diversified ecosystem of upstream players, including bulletproof glass suppliers and fabricators, along with downstream stakeholders, vendors, and government organizations. Companies operating in the global bulletproof glass market include Asahi Glass Co., Ltd. (Japan), China Specialty Glass AG (China), Nippon Sheet Co., Ltd. (Japan), Saint-Gobain S.A. (France), Consolidated Glass Holdings, Inc. (U.S.), Total Security Solutions (U.S.), SCHOTT AG (Germany), D.W. Price Security (U.K.), Smartglass International Ltd. (Ireland), Apogee Enterprises, Inc. (U.S.), and National Glass (South Africa). Scope of the report: This research report categorizes the global bulletproof glass market based on end-user, application, security levels and region, forecasting revenues and analyzes trends in each of the submarkets. Note: Other1 include presidential gatherings and election departments. The global bulletproof glass market is projected to reach USD 7.65 Billion by 2022, at a CAGR of 13.6% between 2017 and 2022. The growth of this market can be attributed to the growing demand for bulletproof glass from the automotive and military end users. The automotive segment led the global bulletproof glass market in 2016. The military segment is projected to witness highest growth from 2017 to 2022, due to the increasing usage of bulletproof glass in military bases, combat operations, and transportation of personnel, mine detection, bomb disposal, and Intelligence, Surveillance, and Reconnaissance (ISR), battle tanks, infantry fighting vehicles, armored personnel carriers, and tactical tanks. Defense & VIP Vehicles was the largest segment of the bulletproof glass market in 2016. The defense & VIP vehicles segment includes combat vehicles, transportation of personnel, premier vehicles, VVIP vehicles, vehicles used by governments, embassies, and others for protection from ballistic or blast attacks. Some of the common armored vehicle products used in the defense sector include main battle tanks, infantry fighting vehicles, armored personnel carriers, and tactical tanks. The declining or stagnant defense budgets of the major economies of the world, which include the U.S., Canada, the U.K., Germany, France, Italy, and Japan, among others, are expected to act as restraints to the growth of the bulletproof glass market, globally. Key players operational in the bulletproof glass market include Asahi Glass Co., Ltd. (Japan), China Specialty Glass AG (China), Nippon Sheet Co., Ltd. (Japan), Saint-Gobain S.A. (France), Consolidated Glass Holdings, Inc. (U.S.), Total Security Solutions (U.S.), SCHOTT AG (Germany), D.W. Price Security (U.K.), Smartglass International Ltd. (Ireland), Apogee Enterprises, Inc. (U.S.), and National Glass (South Africa). These companies adopted various strategies to increase their shares in the market. 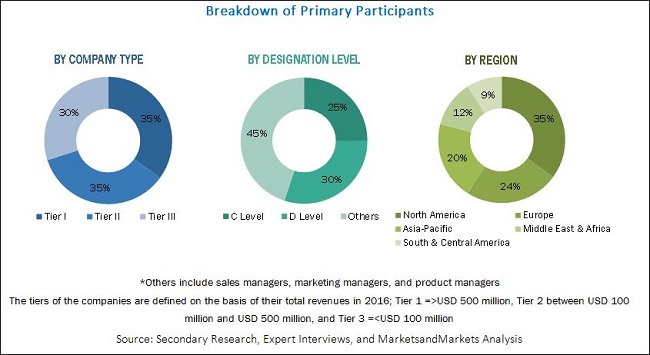 Collaborations, agreements, acquisitions, and expansions are some of the key strategies adopted by market players to achieve growth in the bulletproof glass market. 11.1 Asahi Glass Co., Ltd.
11.4 Nippon Sheet Co., Ltd.
11.11 Consolidated Glass Holdings, Inc.
11.17.2 Qufu Shenglu Bulletproof Glass Engineering Co., Ltd.
11.17.6 Jeet & Jeet Glass and Chemicals Pvt. Ltd.
11.17.7 Brite Glass Works Pvt. Ltd.